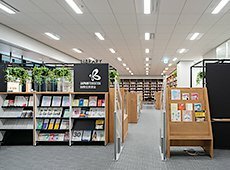 The Japan Foundation Library develops its collection of books and other materials on Japan, international cultural exchange and publication by the Japan Foundation to provide extensive information services. The Library can be used by any member of the public. The Japan Foundation Library will be closed from April 27 through May 6 for the Golden Week holidays. ( ) indicates the Library is closed. *Please refer to the Library Schedule.